Ever purchase something, get great use out of it for a while, put it in storage for a while, take it out again for another season’s use and discover that evil Gremlins from the Planet Zingledorf have broken into your garage and stolen a critical part? If so, then you and ‘Anne’ have some thing in common. Those evil little part stealing cretins stole Anne’s instructions for her test kit! I had ordered the test kit a year back or so. Now want to use the 2nd, duplicate set. Unfortunately, stupid me, I misplaced (threw out?) the instructions. Can you please forward instructions? We would love to help you, Anne, but honestly we don’t have a clue as to which test kit you purchased or from what company you bought it. We would guess, though, that since you mentioned ‘second set’, that you may have purchased the Water Quality Test Kit from SenSafe. If so, then you will find a link to that particular kit’s instructions and color charts under the image above. We hope this helps! 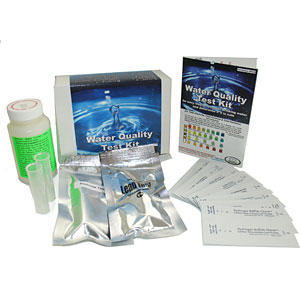 Looking for a water test kit? We know of several reputable online merchants who carry reliable and affordable water quality test kits manufactured by industry leaders like SenSafe and WaterSafe. 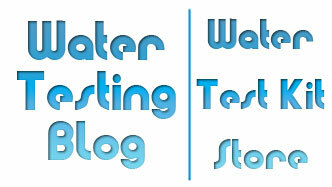 Below you will find a few of the more popular water test kits offered on several of the sites listed above. These represent but a small fraction of the water quality test kits available these days so in our opinion, if anyone says, “I can’t find the right test kit”, they really haven’t looked for one. Now that school has started many students and parents have realized that a science fair looms in the near future… and the SMART ones have started looking for ideas already. The rest will wait until the last minute and wind up putting a bunch of ants in a jar and say they started an ant farm. We recently received an email from a parent whose son and friend want to perform arsenic testing on a number of water samples in their area and chart the results. My question: My son and a co-student are wanting to do a science fair project on arsenic in the ground water. We wanted to check many samples. However, the cost of the kits are prohibitive. Is there a way that the cost of the kits may be reduced for such an endeavor?? (we wanted to use the 100 sample kit.) We would love to use your product and have it on display for the project. Please let us know if this is a possibility.. thank you so very much. 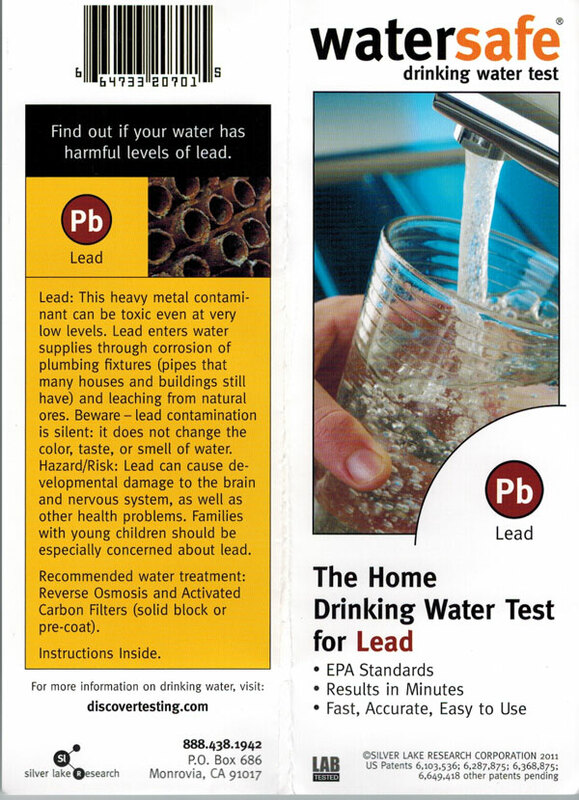 It pleases us to hear that some youngsters have taken an interest in doing a lot of ground water testing for arsenic using an Arsenic Quick Test Kit… because we know they work very well, do not require special training to use, and use safer reagents compared to other home arsenic test kits currently available on the market. Having spoken with members of that company’s staff on numerous occasions, we can assure you that other people have successfully used versions of their field-ready arsenic test kit in science fairs in the past and done quite well. 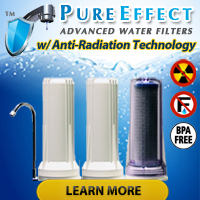 UPDATE (8/14/2013): Previously we reported that we did not carry the Arsenic Quick Test Kit, but that has changed and the price for smaller versions as well as larger version of the product have all gone down since we first posted this article… almost three years ago! Miniature arsenic test kits for spot testing? In addition to full-sized arsenic test kits, we also now carry 2-test and 5-test versions of the Arsenic Quick as well as a version designed specifically for testing wood samples for arsenic. If memory serves us right, a student won some sort of National Award using an Arsenic Quick test kit. Other water test kits for science fair projects? Not all students have access to well water or surface water… but that does NOT mean they can’t use water testing as the basis of their science project. Why? Because even tap water varies from place to place and in some places its quality may vary on a daily basis. WaterSafe Science Project test kits allow students of all ages to participate in educational, hands-on activities related to water quality. 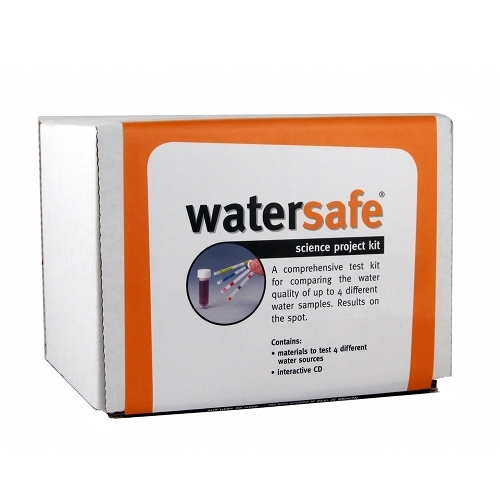 Avaliable in two sizes, 4-packs and 10-packs, the WaterSafe science project test kits come with all the supplies needed to test for Lead, Bacteria, Pesticides, Nitrates, Chlorine, Hardness and pH. Each kit also comes with step-by-step instructions, an outline for the water testing project, and a convenient data sheet to record the results. Residents in certain areas of Wisconsin can obtain free water testing kits from the Wisconsin Department of Natural Resources as a result of concerns that some (or many) wells may have gotten contaminated during recent periods of flooding. Health officials pretty much worldwide suggest testing the quality of well water after the tops of wells get covered with flood water due to the likelihood of flood water carrying a plethora of potentially harmful bacteria (i.e. 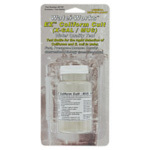 coliform bacteria) and other contaminants (i.e. atrazine & simazine), heavy metals like lead, VOC’s, nitrates/nitrites, etc.). Area officials are encouraging homeowners and landowners whose wells may have been compromised by flooding to test their water for contaminants. “Typically, we find that we have wells that have been (covered) by floodwaters — you absolutely have to have it tested,” said Dan Baumann, regional water program manager with the Wisconsin Department of Natural Resources.